You can stop dog urine from killing your grass for a healthy green lawn. PetiGreen is an all-natural soil amendment. 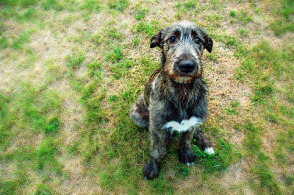 It is beneficial to the environment while it controls dog urine spots, improves the look of your lawn. When PetiGreen is used as directed it is safe for children, and for your pets. You can stop dog urine from killing your grass whether it is Kentucky Blue Grass, Fescue, Rye, St. Augustine, Marathon, Zoysia, etc. because PetiGreen is safe and effective for all types of grass. For dog owners keeping your lawn green can be frustrating. Your lawn is a mess. You love your dog. We can help. Your dog is a new adventure. So are spots in your lawn. We can help. You plan to get a dog. We can help. Your lawn is being assaulted multiple times a day, every day by dog urine. That has made getting things under control rather challenging…until now. This daily assault is also why we developed the PetiGreen Program. PetiGreen is designed to improve the environment of the soil. However, in order to restore, control, and eventually prevent dog urine spots from appearing in your lawn repeat applications are required. Repeat your applications of PetiGreen on a schedule (typically every six weeks). That works to control the daily application of urine by your dog, while working to heal your damaged soil. Not only can dog urine damage your lawn, it can create the strong odor of ammonia that rises up from the soil. Activities in your yard such as outdoor grilling or gatherings in your yard become rather unpleasant. The odor can be eliminated using PetiGreen. It converts the nitrogen in the urea, which produces the smell of ammonia, into nitrites and nitrates completely eliminating the urine odor. PetiGreen works to fight the damage to your lawn caused by dog urine. Medication is not part of dog urine, however, medication can end up in dog urine. We have had people call us telling us that they have been using PetiGreen for a couple of years and their lawns look fantastic. Now, all of a sudden, yellow spots show up. We ask if their dog started taking medication. They tell us that where the dog goes while on medication the grass will turn yellow for about 2 weeks and then green up again. Generally we see that when someone has been using PetiGreen for a long enough time that it prevents yellow spots from urine and their dog goes on medication it may cause yellow spots in the lawn. However, generally it does not kill the grass. Usually medication is only used for a short time. So when our dogs finish their medication regimen the lawn quickly returns to normal. However, people we talk to who have dogs on medication and are not using PetiGreen it seems to permanently kill the grass. 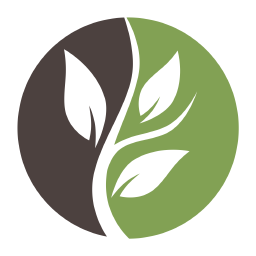 The ingredients in PetiGreen all occur naturally in the soil. 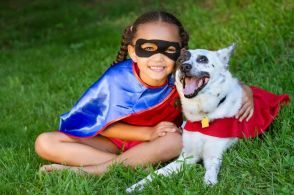 If you, your kids, or your dog have ever dug around in the soil it is likely you have been in contact with the same material already. PetiGreen comes as a concentrate and as a concentrate it can be harmful if swallowed. But when it is applied as directed it is safe and could even be applied to benefit vegetable gardens. Still in order to assure further safety to our users our instructions for PetiGreen are to apply it to your lawn and then turn your sprinklers on so it gets washed off of the grass into the soil. There it remains out of reach of all contact from you, your dogs, and your kids. At the time we adopted Blue we did not have grass in our back yard, I installed SOD last summer (ST. Augustine) so that Blue could enjoy running around on grass. At first, I was discouraged when our grass would completely die everywhere Blue urinated. I started using PetiGreen last year (about November), and it has been working pretty well for me (and blue). I intend on continued use of Petigreen to keep my lawn looking beautiful, and i have already recommended the product to several dog owners that i have come in contact with at our local dog park. I have been looking for a solution to the pet urine problem and have tried dozens of products of which none worked. We have two labs and a medium to small backyard that we spend a lot of time in. The urine spots burned holes in the grass to create a very bad patch of grass throughout the yard and it has been frustrating for me since the rest of the yard is beautiful. I was skeptical to try this product due to historical failures. A applied to my yard and started noticing improvements. I had direct interaction via e-mail with the founders who helped guide me in the application amount, frequency, etc. My yard is now finally conditioned to handle pet urine without dying or being discolored. This product will soon be in every lawn and garden store and vet clinic across the country. I used your 3-2-1 approach with the PetiGreen that I purchased and am extremely happy with the results. I just ordered another shipment. Thank you! I have a Bichon Frise who is just adorable, but the lawn spots he leaves are not! I purchased Pet-I-Green and applied it every six weeks during the Spring and Summer, and my lawn was green and beautiful by October. Currently is covered with snow, but I’ll be back applying Pet-I-Green in the Spring. I just put into my hose sprayer and let it fill with water and then covered my lawn. It is very easy to use. A year ago we adopted a Chihuahua mix female and though we love her, we did not love the brown spots covering our lawn. We tried PetiGreen and noticed an almost immediate greening of our lawn. After reseeding in a few of the worst areas, you now cannot tell we have 3 dogs! We also have several chickens and like the fact that it is non-toxic. We highly recommend PetiGreen! Baron and Baxter desperately hate winter! All winter long, they take one step off the patio and pee! It leaves us with a giant dead spot when spring arrives. I apply PetiGreen and seed it, and it’s back in no time! It’s [PetiGreen] the only thing I’ve found to combat the stream of urine this guy produces! He is now 2 years old and weighs 85 pounds. I’ve seen him stand in one place for nearly 2 minutes emptying his bladder! Oy vey! With a family of basset hounds our backyard was taking its toll. Dead spots, yellow spots and dying grass was the yard. We started using PetiGreen in early Spring. By midsummer we had a good looking lawn again, with new growth and minimal burn spots. Now in September the yard is green once more. We are extremely happy with your product. We have three large dogs one German and two Belgian Sheppard’s and a new lawn. The damage these dogs did to the lawn was significant. My family members had told me about PetiGreen and have had great results in the front but as the dogs run is in the back yard the back lawn gets used much more by all the dogs. The spots were greatly diminished on the back lawn. I am waiting for the next delivery of PetiGreen to reapply on the back lawn and I am excited to see the brown pee spots disappear even with the extra heavy use from all the dogs. A few PetiGreen users were kind enough to send us pictures we could share with you. You can stop dog urine from killing your grass too! Start the PetiGreen Program Today? PetiGreen 16 oz. Covers up to 4500 Sq. Ft.
PetiGreen can help stop dog urine from burning and killing grass. 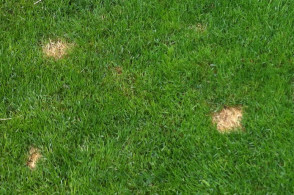 Dog urine can cause yellow spots to form in your lawn and quickly kill the grass. PetiGreen is a safe, natural, holistically approach to address dog urine damage to your lawn that works to improve the ability of the soil to metabolize the urine and over time help prevent the formation of dead spots in your lawn. PetiGreen 32 oz. Covers up to 9000 Sq. Ft.
PetiGreen 1 gal (128 oz.) Covers up to 36000 Sq. Ft.